A Firepit installation in San Luis Obispo will the ideal centerpiece for any backyard social gathering. It instantly brings guests together and provides natural warmth and light, and, of course, is great for marshmallows. Firepits instantly add value to any home. They are stylish, durable, easy to clean, and they provide long-lasting memories. Dan’s Landscaping Company specializes in Firepit installation in San Luis Obispo services for both home and business owners. San Luis Obispo evenings can be very mild during the spring and falls seasons. This is the perfect weather for a fire pit. A fire pit installed by Dan’s Landscaping Company can help you take more time out on the patio and provide enough warm to fill the entire area. The Dan’s Landscaping Company difference! Our professional San Luis Obispo landscapers can install a stylish fire pit that will seamlessly match your current patio design. We can integrate a new pit directly into your existing patio and give your hardscape a cohesive look. We can also alter or redesign your patio to match your fire pit design. Whether you want a simple look or a more elaborate design, we can help you design the pit that suits your needs and personal style. Our skilled team can design and install your fire pit your way. We consult with each client prior to construction in order to help you make your vision a reality. We can assess your entire area and make recommendations on which fire pit style and size is appropriate for your patio. Our custom fire pits can be built right into your existing hardscape or they can be portable and stand alone. The choice is yours. Regardless of how many guests you are entertaining, your entire square footage or the height and arrangement of your seating, Dan’s Landscaping Company fire pits are designed with flexibility in mind. 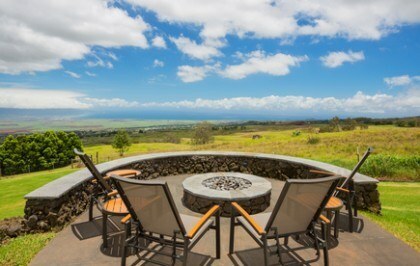 Dan’s Landscaping Company offers a wide selection of custom designed fire pits for you to choose from. We can help you select the style and material that is right for you. We offer lava rock, river rock, and stone, recycled glass, metal or brick fire pits. All materials are decorative, heat absorbent, and safe for the family. 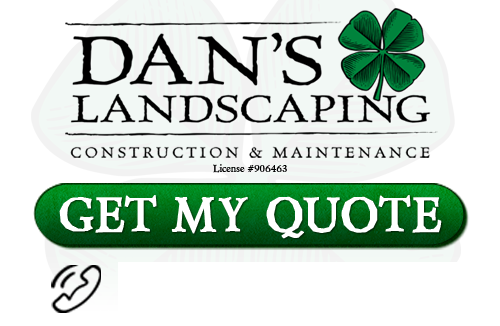 For over a decade, Dan’s Landscaping Company has been providing excellent landscaping service and products for homeowners and business owners all across San Luis Obispo and central California. Every member of our team is certified, trained, experienced and efficient. We get the job on time without sacrificing quality or style. Our designers create innovate unique landscaping and hardscaping concepts that help every property to stand out. We partner with our clients through every phase of the project. You can see your ideas come to life from start to finish. We have built a reputation of being a company that truly cares for our clients. We realize that your next fire pit, landscaping, or hardscaping venture is an investment, so it is our desire to create something that adds instant value to your home. If you are looking for professional Firepit installation in San Luis Obispo then contact Dan’s Landscaping Company at 805-550-5488 or complete our online request form.